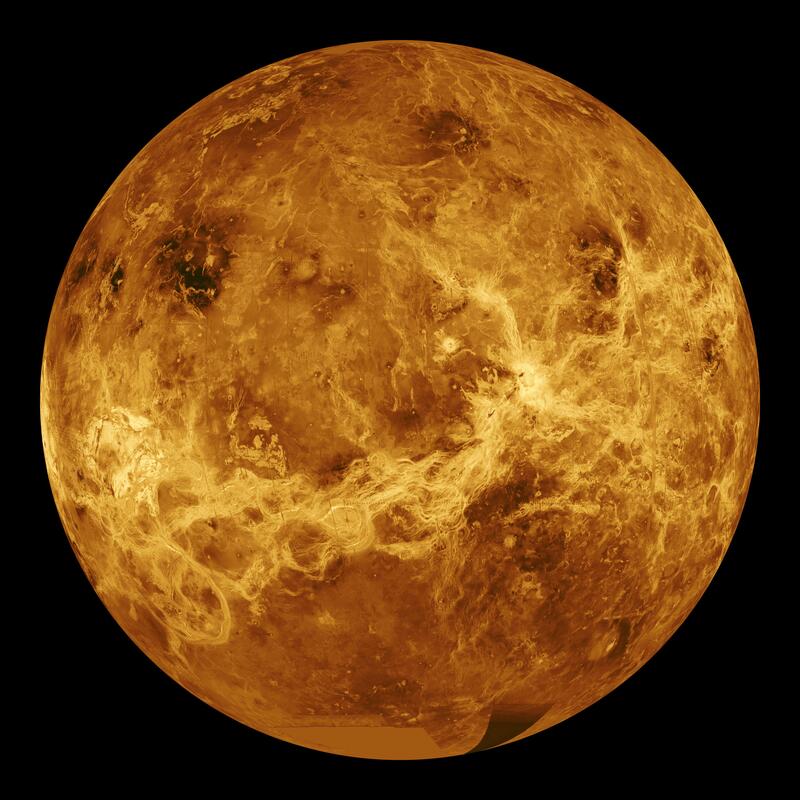 An atoms-thick layer that would act as a protective coating for sensors could potentially enable scientific equipment to survive on Venus without being crushed or toasted. Researchers at Stanford University are coming up with ways to help electronic devices survive in this punishing environment, starting at the nanoscale. The applications from Stanford's Extreme Environment Microsystems Laboratory (XLab) would not only help future exploratory spacecraft on Venus, but could also be used within hot industrial or mechanical environments on Earth. Silicon-based semiconductors — the same ones that power typical smartphones and laptops — seize up at only 570°F (300 degrees Celsius). Instead, the researchers propose using an atoms-thick layer that would act as a protective, heat-resistant coating for devices and sensors, shielding them from temperatures exceeding what you would find on Venus' surface. Laboratory testing suggests that they would work up to 1,100°F (600°C). The possible use of such materials by NASA for future projects focused on Venus might shed light on its planetary evolution, and allow scientists to learn more about the transformation of Earth’s atmosphere in the process. Thought to once have been Earth-like, massive eruptions of greenhouse gases from belching volcanoes turned the planet into an inferno. Investigating how this dynamic played out could offer valuable climatological perspective for Earth. RELATED: What Does It Sound Like on the Surface of Venus? Russia launched a series of probes between 1961 and 1984 that collected data on Venus, 10 of which landed on the planet. The campaign captured photographs of the surface, but the probes only survived from 23 minutes to a max of two hours of exposure. XLab researchers simulated Venus-like environment conditions using multiple facilities. There is a Venus simulator available at the NASA Glenn Research Center in Cleveland that reproduces the planet’s pressure, chemistry, and temperature. Space radiation is simulated at the Los Alamos National Laboratory or the NASA Ames Research Center in California. Another practical application for this research — and the initial reason the work started — is to better monitor the performance of car engines, and optimize them. Inside an engine, temperatures can soar up to 1,800°F (1,000°C), and current technology can't take it. Devices are instead placed far away from the pistons, introducing errors because they aren't nearby. Nano-devices capable of surviving extreme environments in space could also potentially be used for high-temperature sensors that can test, monitor, and gather data in settings as varied as gas turbines, hypersonic structures, and geothermal vents.